A group of doctors, along with environmental groups, are bringing a lawsuit against the third-largest mining company in the world, Rio Tinto, for violating the Clean Air Act and endangering public health in Utah. Inspired by the Occupy movement and 1,000 to 2,000 premature deaths in Utah each year as a result of air pollution, the doctors and environmentalists decided to bring the lawsuit in late December, according to Truthout. Over the last 10 years, medical research has established several effects of air pollution, which causes a similar array of diseases caused by first and secondhand cigarette smoke. Strokes, high blood pressure, heart attacks, lung disease, neurologic diseases such as Parkinson’s and Alzheimers, chromosomal damage, obesity, birth defects, diabetes, breast cancer, and lukemia are some of the diseases listed that are said to be caused by air pollution. Many cities in Utah are in violation of national air quality standards put in place by the Environmental Protection Agency (EPA), and during a typical Utah winter, the state is often cursed with the worst air pollution in the country. Salt Lake City was rated the ninth most toxic city in the country by Forbes Magazine last year, and the biggest contributor was said to be the mining and smelting operations run by mining conglomerate Rio Tinto/Kennecott. 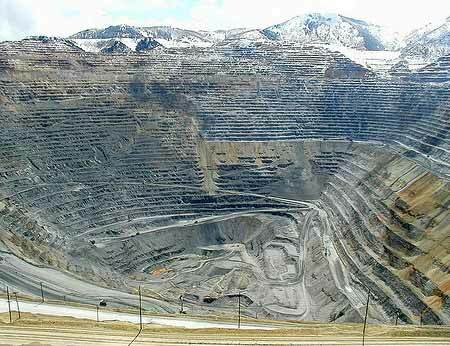 The operation takes place at Bingham Canyon mine, the world’s largest open-pit mine. It creates the largest mining-related water pollution issue in the world, right outside the door of Salt Lake City, currently inhabited by 1.8 million residents. The mine accounts for 30% of particle matter emitted into the atmosphere over Salt Lake County, with lead, arsenic, cadmium, and mercury all exposed to the air, water, and soil. Of course, the operation and justification of it all boils down to money. With record profits of $15 billion last year, Rio Tinto/Kennecott Chairman Jan de Plessis said “Rio Tinto has produced another set of record-breaking results.” The problem so many locals have is that RTK has more than enough money to clean up their act, but they won’t, and there is nobody forcing them to do it. According to The Utah Physicians for Healthy Environment, the costs to the community for mortality, health, and environmental costs as a result of RTK pollution is between $2 billion and $4 billion. The hope of the doctors and environmentalists is to change the company’s image from a “job provider” to one of a company that is aware of their negative impact and seeking to provide healthier alternatives to their work.